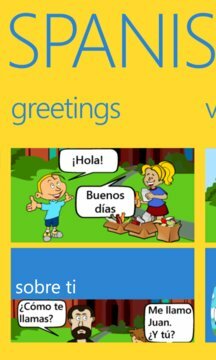 Loaded with lots of basic Spanish vocabulary and phrases! Fully illustrated and easy to navigate. Record your own voice and compare it to ours. Are you really proud? Then save your recording to show off to your parents or grandparents! Test yourself by taking a short quiz. Download it now and try it out!